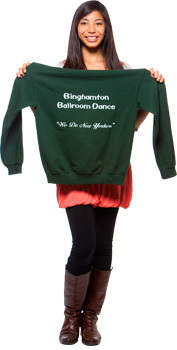 Not just for English majors, theater gurus, or aspiring philosophers! 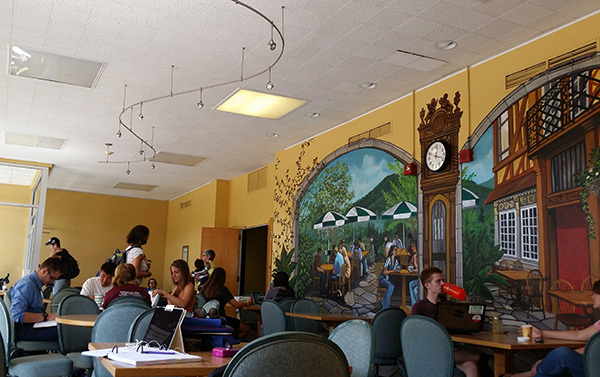 Nestled within the Fine Arts Building, John Arthur Cafe is an alternative eating location. Pop by and pick up a bagel or pastry, delivered fresh each morning from local café Nezuntoz. Just make sure you have cash or BUC$! 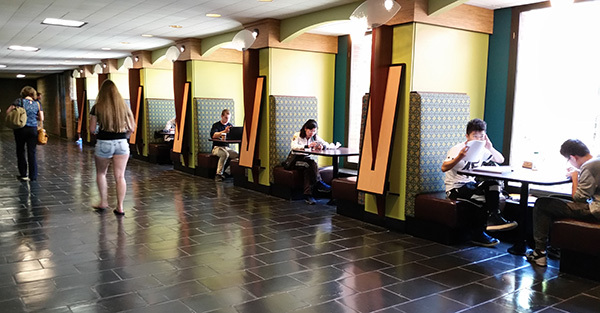 You can find these coveted booths between the main lobby of Glenn G. Bartle Library and Jazzman’s Cafe. These little nooks are always occupied, so don’t hit that snooze button! 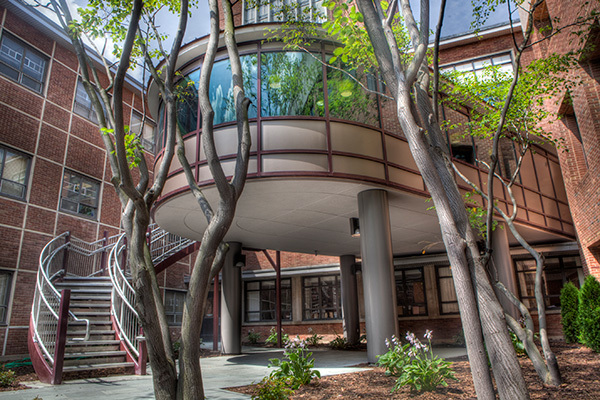 Located in the center of the Fine Arts Building, and dotted with benches and flowerbeds, is the Memorial Courtyard. 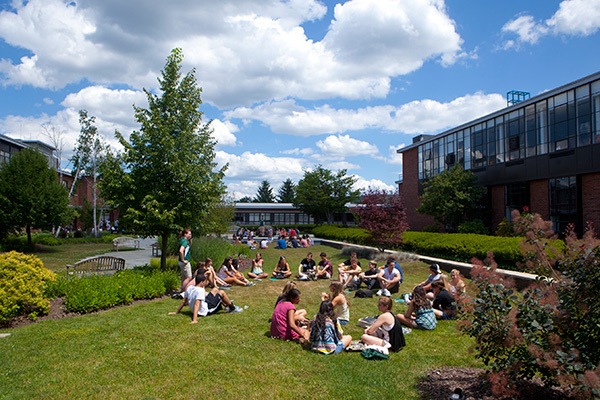 Take a moment between classes to sit under the willow tree and relax during the warm-weather months. Serenity now! In the midst of the Science Complex, you’ll find the E.W. 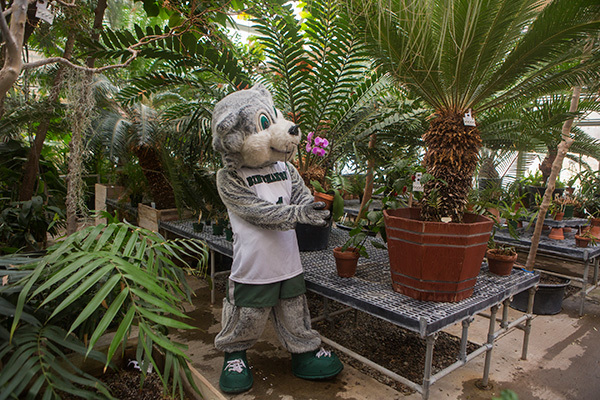 Heier Teaching and Research Greenhouse. This facility hosts warm temperate, desert, tropical and and cool temperate biomes. It is also home to our corpse flower Metis -- the stinkiest plant you’ll ever come across. 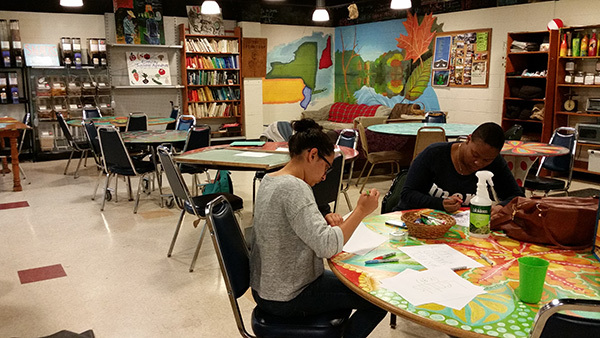 Located in room 236 of the Fine Arts Building, the Art Co-Op is student-operated and led by the Binghamton University Fine Arts Society. 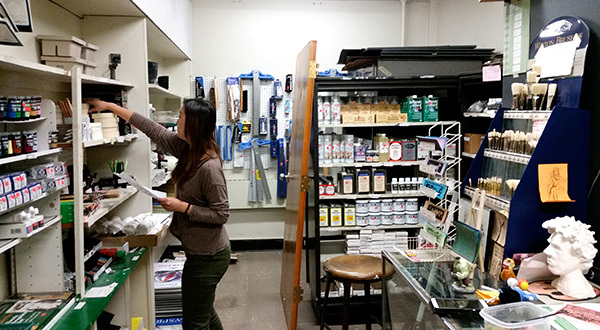 It is a discounted art supply store for Studio Art majors and recreational artists alike. The Fall 2015 store hours are 11 a.m.-1 p.m. Mondays, Wednesdays, and Thursdays. Come and get your art on! Craving some organic or locally grown food? Head down to the basement of the University Union to the Food Co-Op to pick up some snacks or hot lunches, served Monday through Friday. Good food without the guilt! The Jazzman booths are great, but have you ever sat outside in the courtyard? Walk through the green and purple lounge area, out the side door, and into a serene setting. The courtyard is a well-kept secret that boasts tables and benches for enjoying your coffee -- and getting you through that afternoon study session! Remember the good ol’ days of Blockbuster and Hollywood Video? Devastated that they are gone? 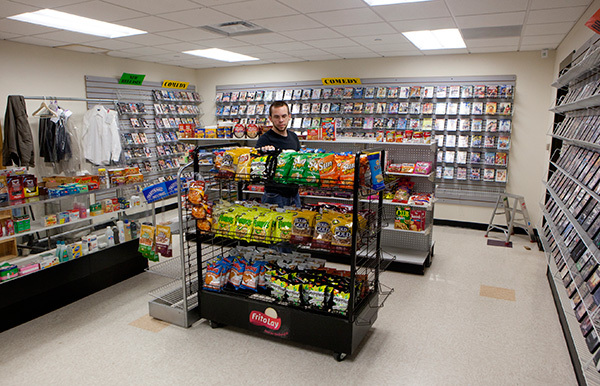 Well, get excited because at Munchies not only can you borrow DVDs for free, you can pick up all the snacks you and your friends will want to munch on while you watch them! Get your dry cleaning done, rent a movie, and pick up fresh flowers all in one location. Comes in handy in January (trust us). Bikes -- they’re wheelie awesome. You can stop by the information booth in the Old Union and rent a bike for four hours and it’s free with your student ID. Want to learn how to fix your own bike? 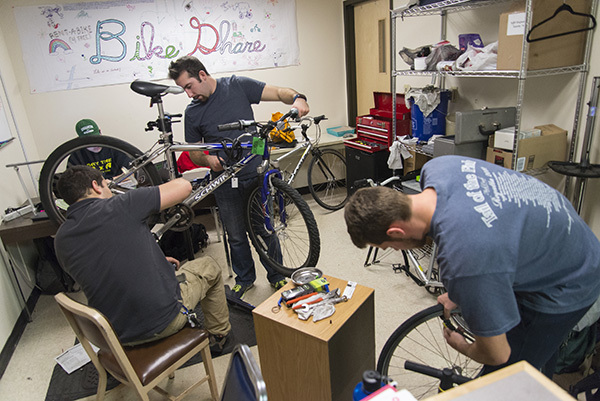 The Bike Share group regularly host bike-maintenance workshops! Check out their office, which neighbors Munchies and the Food Co-Op. “I love to swim, but I don’t have a gym membership.” Well, you don’t need one! 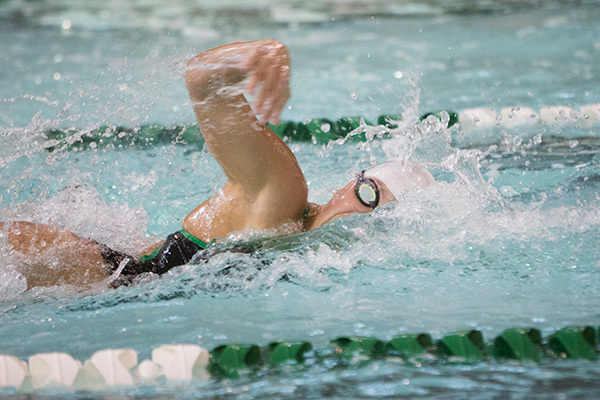 The East Gym pool has hours for recreational and lap swimming throughout the week that do not require a membership! So break out your goggles and make a splash! 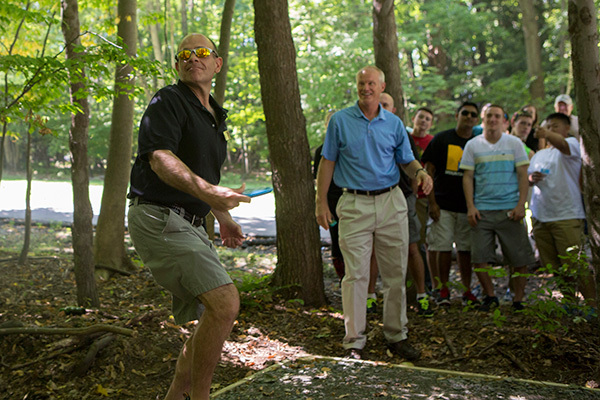 Yet another way to stay active and have fun on campus is to play a round of disc golf on the 18-hole course, which loops through the wooded areas of east campus. Get a group of people together for some friendly competition. You’ll finally know what “frolfing” is all about. 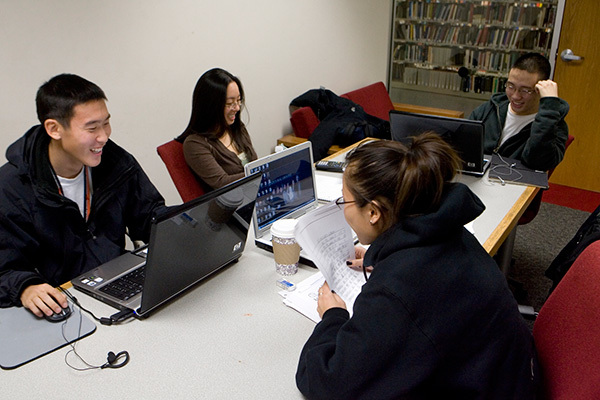 For the times when you are cramming for an exam or preparing for a group presentation, there are group study rooms on the 2nd, 3rd, and 4th floors of Bartle. Instead of simply showing up to find the room you want to use is occupied, reserve the space in advance online! Because studying in your room while your roommate watches Netflix is so not fun. Want a taste of the Great Outdoors without trekking up to the Nature Preserve? Take a stroll across a babbling brook via the bridge behind Broome Hall of Newing College leading to Murray Hill Road. 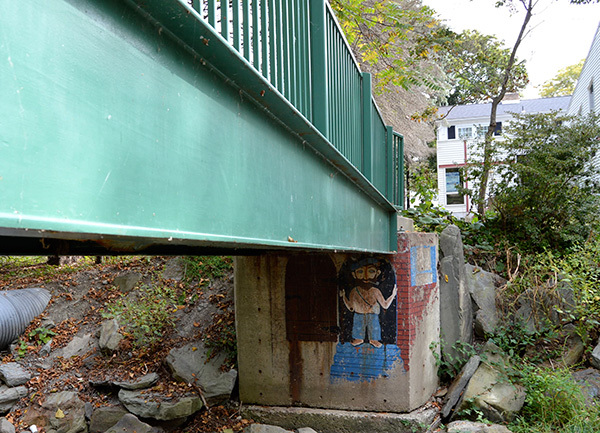 Students have affectionately dubbed it the Troll Bridge. Don’t be afraid; he doesn’t bite.